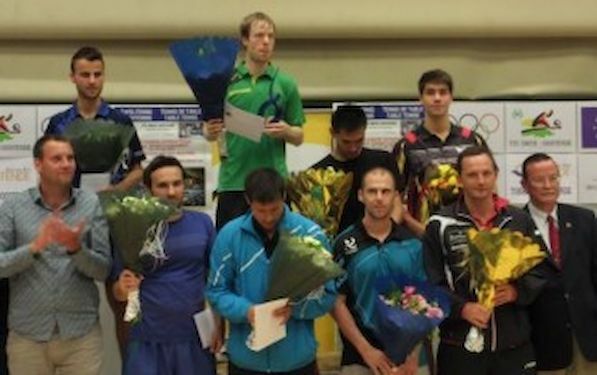 Patrick BAUM justified his top seed position and won the title at the 16th Flanders I.T.T. Ostend Masters. German player beat Tiago APOLONIA of Portugal in the final of the event in straight games. In semis BAUM overcame Ukraine’s KOU Lei in full distance duel, whilst APOLONIA needed only five games to beat Patrick FRANZISKA of Germany.At the tournament also played Thomas KEINATH of Slovakia, Bojan TOKIC of Slovenia, Alexei SMIRNOV of Russia and Jean Michel SAIVE of Belgium.